Schooling at Poplar Place Farm in Hamilton GA.
Beautiful b/w full page ad for the stallion Egmont. Ad for the Matador son, Horatio. Featuring the arrival of Graditz *E* as well as the stallions, Vincent, Pregelstrand *Ps*E*, and Erzsand *E*. Fantastic ad for the Cornelius son, Koree. This ad also features some of his offspring. Show your TK love at work or in your home office! Two page color spread of three of the Merritt Award Winners in 1990 including Inspektur, Samurai II and Amethyst. 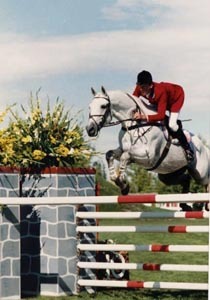 Lovely color photo of Advocate *Ps* flying over a fence in competition. Make your horse's coat the winning edge with Equiderma! Featuring 5 past Palmenbluete Award winners. This poster is numbered 5/500 and is framed (although frame is not in great condition). Featuring 3 stallions, Koenig, Inselkoenig, and Leopard 590 (SWB). This Heritage Farm ad layout featuring the stallion, Palmenstrand by Polarmond out of Palme by Harnisch. Laser engraved with the ATA Logo, these 20 oz Himalayan tumblers are like the Yeti's. An ad for the Mahon stallion Horizon out of Harma, with a foal photo. Beautiful one of a kind - designed especially for the ATA Silent Auction of a horse head. The highly poplar book In the Middle are the Horsemen by Tik Maynard, autographed by Tik. So much history in this one ad - an older ad for Judy Yancey as Green Gabel Farms and introduction of Koree along with offspring! Old full page ad for the stallion Justiz and a color photo of him as well! Approved stallion Kaspareit by Mozart ad for Tower Farm Trakehners. Two ads for one! There is a full page color ad and a b/w copy of it! 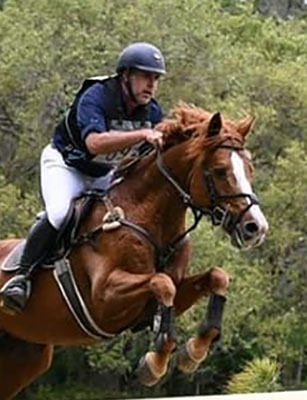 Lesson with 4* Eventer, Jon Holling in Florida! Featuring a full color photo of the stallion, Inspekteur. These will grace any bar in any home! Who doesn't want sparkly, pink glitter for their horse? Signed memorabilia of Peron *Pg*E* and Michelle Gibson at the Summer Olympics in 1996. 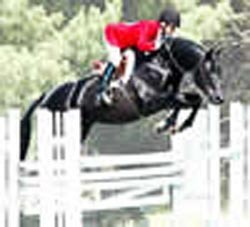 Own a small piece of history with this photo of Tizgane *Pb* in 2003 eventing. 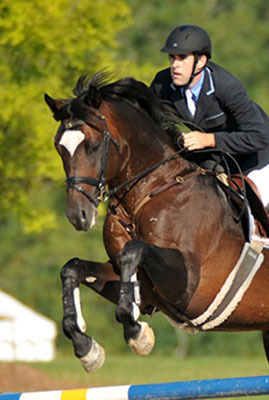 Beautiful color photo of Windfall *Pg*E* with Darren Chiacchia in the irons XC at the 2004 Olympic Games. Beautiful, large pot with handles and a lid Polish Pottery. beautiful polish pottery mug with horses running around the rim. Decorative and practical, this is a Polish Pottery plate with an equestrian motif. Enjoy your coffee to go in this cute Polish Pottery mug with an equestrian motif! Own a piece of history! Beautiful poster of past Palmenbluete Award Winners! Cool old ad layout for the Mackensen son, Samurai II. An original b/w photo of Saxon along with the finished ad. Full color photo ad for Carizma by Ivermel. 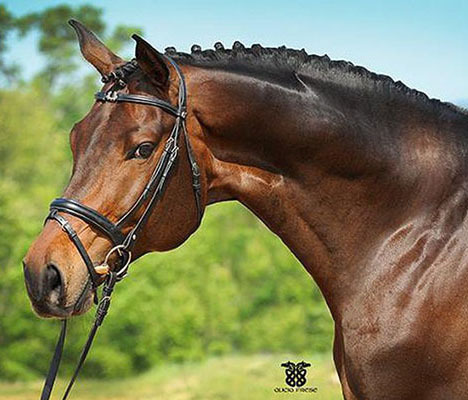 Full Color Ad for the gelding Trinity by Schwadroneur x Pardon Go. 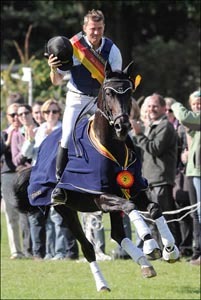 2006 Champion at NMS, Songline qualified for the National Young Horse Championships in 2009 and 2010, winning in 2010. Enjoy your own private 27 acre wooded property with a comfortable and beautiful 2 Story house outside Acadia National Forrest. Top Trakehner Eventing Sire 2017. Competing up to 2* Eventing. 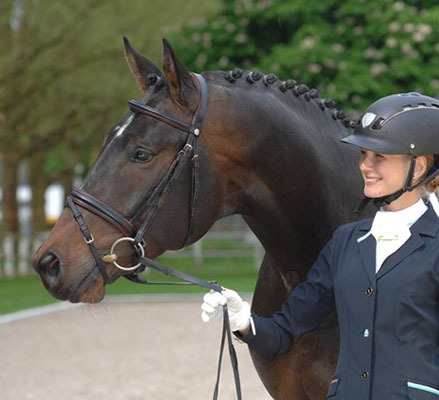 Offspring very successful in eventing and dressage. Beautiful photo of the Condus son, Tempelritter. This photo is on layout paper for an ad. Set of 4 Coasters with Stallion Eye Candy on them! Rolling Oaks Farm Ad featuring Bütow *E* and Pajou! Very special farm ad for Valhalla introducing Hailo and Martini! 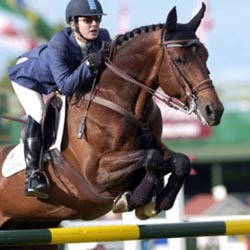 Another lovely photo of Windfall at the 2004 Olympic Games.